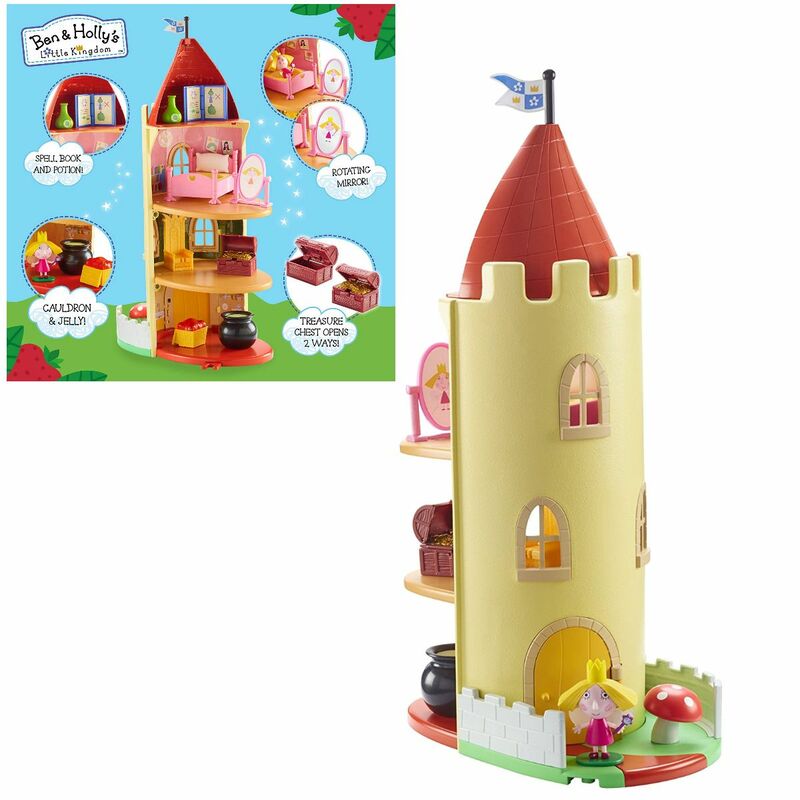 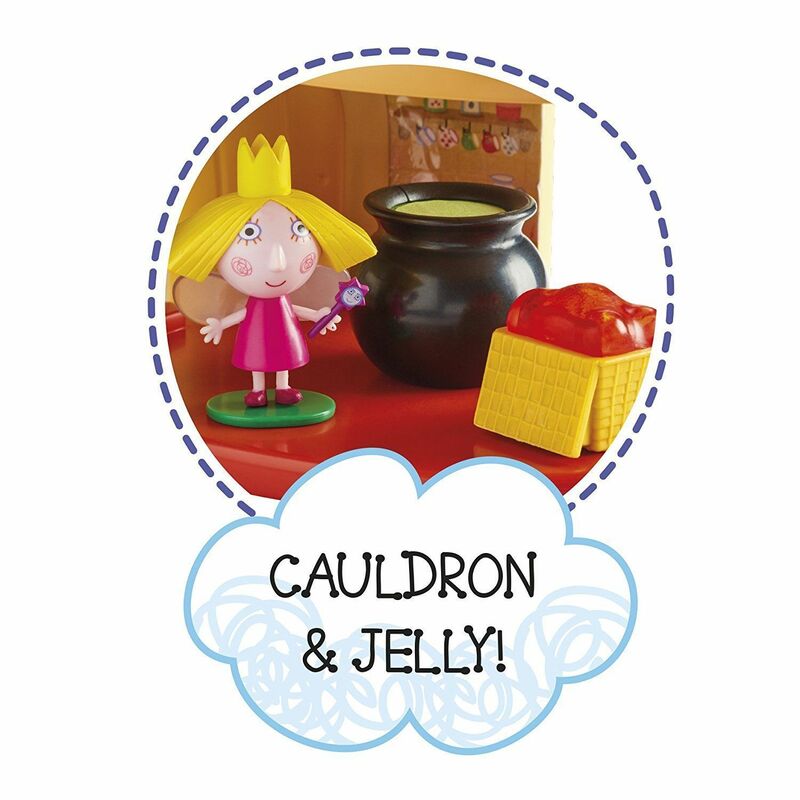 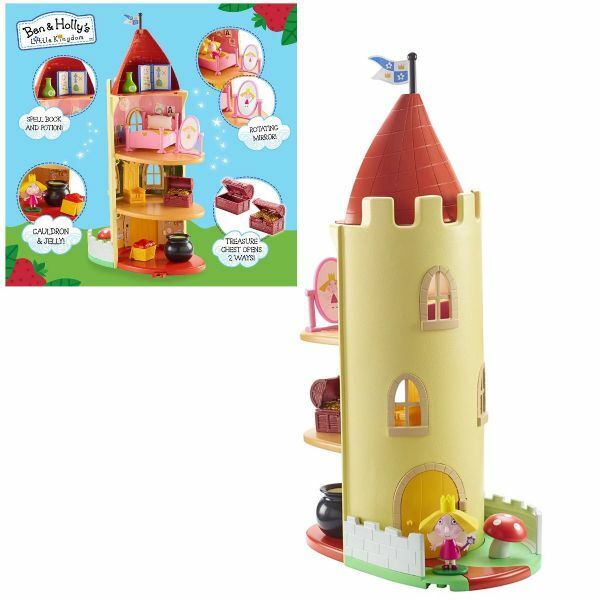 Have magical Ben & Holly adventures with this amazing Thistle castle playset, just like the show! 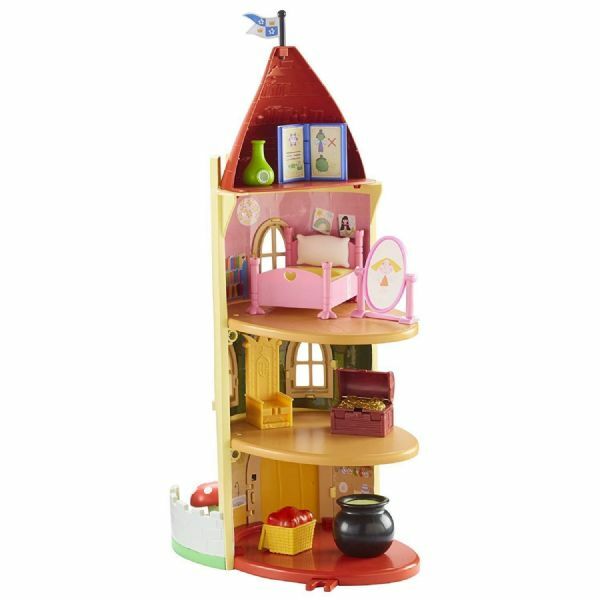 packed full of features like a magic toadstool that opens the door, when you twist it, magical treasure chest, royal throne, spell book plus much more. 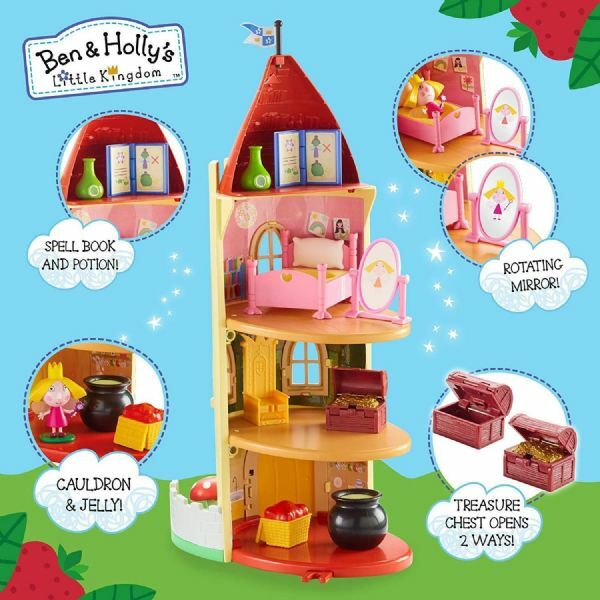 Packed full of magical features! Twist the toadstool to open the door. 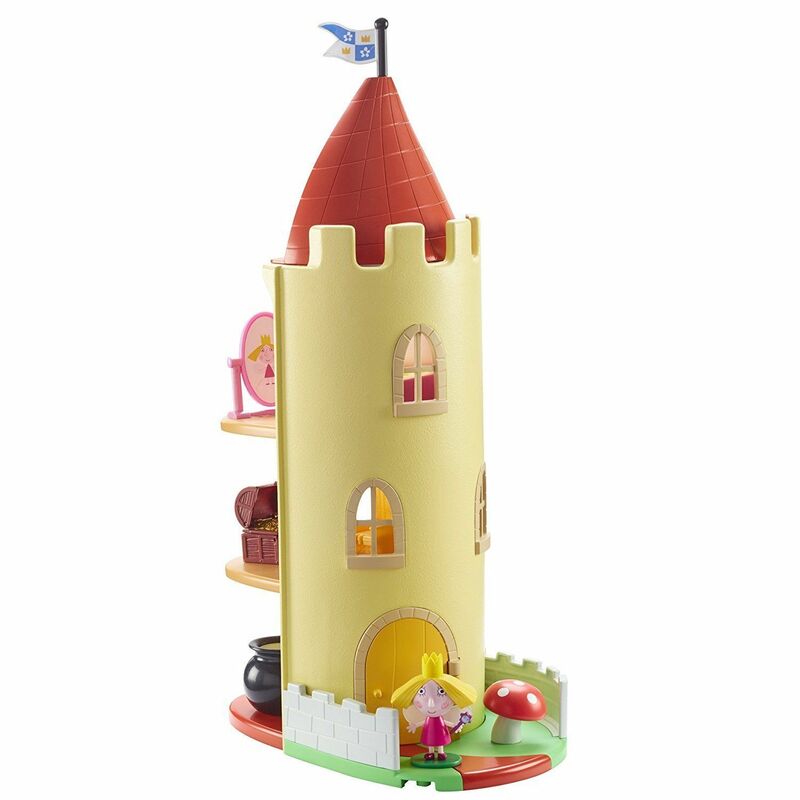 Includes Princess Holly with detachable base. Scaled for play with other Ben & Holly figures and playsets.